Keep an eye on your turbocharged Mazda’s performance with our accurate stepper motor electronic oil temperature gauge. Style design with optional color faces to match your gauges with programmable visual and audible warning and peak recall allows you to know where your Mazda is at quickly without having to pull data logs. #ZoomZoom! 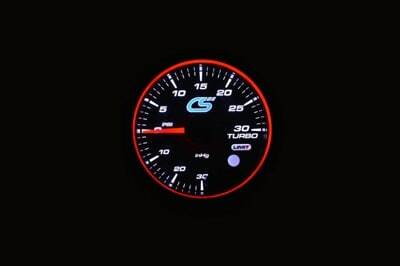 Learn how to adjust the Peak Recall Limit, Warning Setting Limit and Warning Alarm Settings on the new CorkSport High Performance Gauges with this video. Programmable visual and audible warnings with peak hold. Two color face makes it easy to read. Engineered in America: Designed in Vancouver, Washington, in the Pacific Northwest. Weiterführende Links zu "Corksport Öltemperatur Anzeige"
Kundenbewertungen für "Corksport Öltemperatur Anzeige"